After qualifying as a Physiotherapist in 1994, Lana completed an internship at the Prince of Wales and former Prince Henry Hospitals. 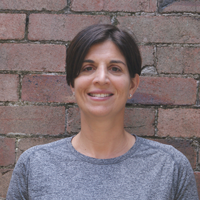 She joined the Sydney Children’s Hospital (SCH) in 1997 and worked in many clinical areas of Paediatric Physiotherapy including teaching undergraduate physiotherapy students. In 2005, Lana attained a personal re-grading in Orthopaedics in recognition of her expertise as a clinical consultant for the physiotherapy management of infants, children and young people with specialised orthopaedic conditions. In 2013, after a 20-year tenure at SCH, Lana joined Coogee Physio and offers a range of paediatric service for ages 0-16 years old. Lana practises out of Randwick Specialists on Botany Street in Randwick. You can book appointments with her here.